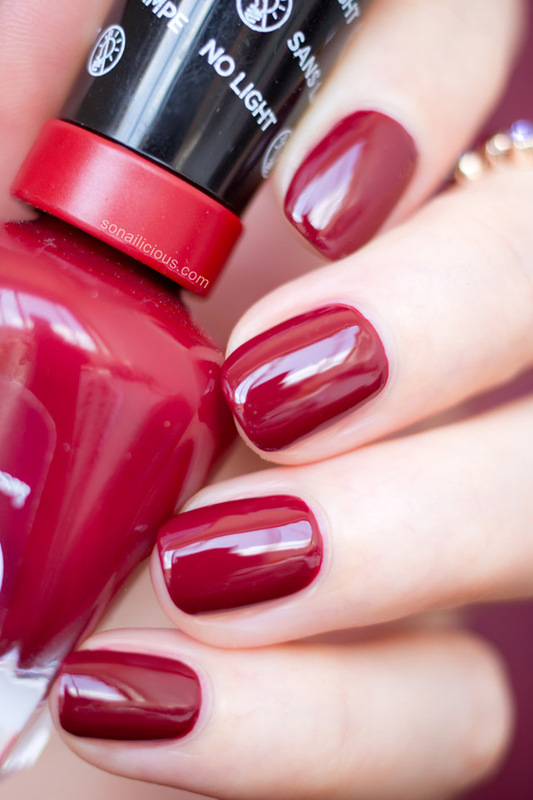 Do you love dark red polishes? Well, check this one out! Sally Hansen Miracle Gel Dig Fig is the perfect dark red shade with warm undertones that will look flattering on anyone. Just add a high gloss top coat and this polish will easily compete with the luxurious Chanel Rouge Fatal. Plus, Sally Hansen polishes last longer. Fact. Another great bonus – Dig Fig can be worn day or night which makes it a perfect polish for the festive season. Add a glitter top coat or accent finger and voilà, let the festivities begin! Paint 2 coats of Sally Hansen Miracle Gel Dig Fig. Apply quick drying high gloss top coat*. 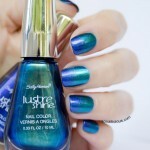 I used Sally Hansen Diamond Flash instead of the Miracle Gel Top Coat because it dries faster and is much glossier. If you’re after an extra long-lasting manicure, use the top coat from the Miracle Gel range. Google ‘Baroque Pattern’ and select the desired pattern (or a part of the pattern) you’d like to paint on you nails. Using a thin detailing nail art brush and a black (or gold) textured polish paint the baroque pattern on your nails. Exactly like you’d do it on the paper but on your nails. Textured polish is super easy to work with. Wait till the pattern is dry and you’re done! * Note: use a matte top coat instead of a glossy one to mattify the glossy manicure before painting the Baroque pattern on your nails. This will allow the textured pattern to stand out even more. Used: Orly Nailtrition as a base, Sally Hansen Miracle Gel #440 Dig Fig (or in Australia here), Isadora #118 Black Crush and Sally Hansen Diamond Flash top coat. Wearing Precious Stones Ring and vintage gold ring. 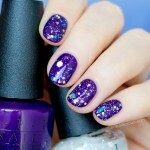 So how do you like the Sally Hansen Dig Fig? So beautiful, right? 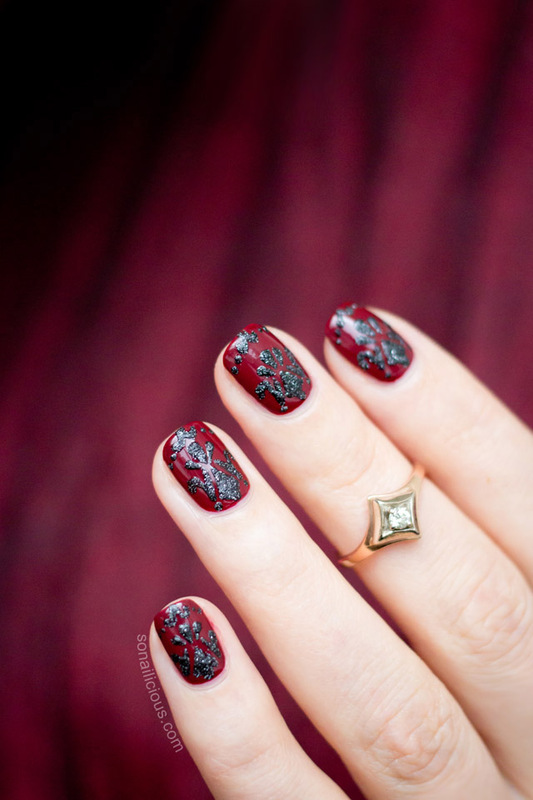 And what do you think of the Baroque nails, have you done something similar before?